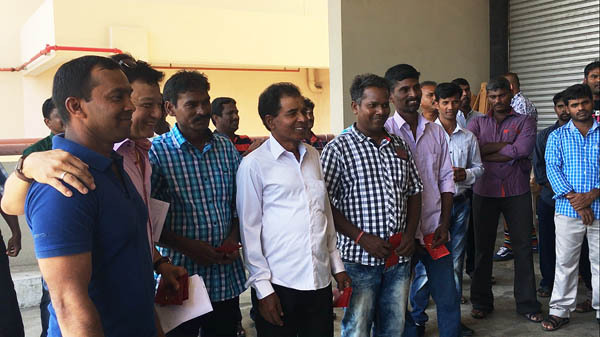 Just a short couple of weeks back, the entire Nic & Wes family stopped their daily workload to celebrate the men who are the core of our operations, the men who turn design concepts into concrete realities – our team of foreign labourers and project managers as they usher in the festival of lights; Deepavali. A very special occasion of the year for each one of us, it is a time that we come together in merriment over a delectable spread of Indian dishes. 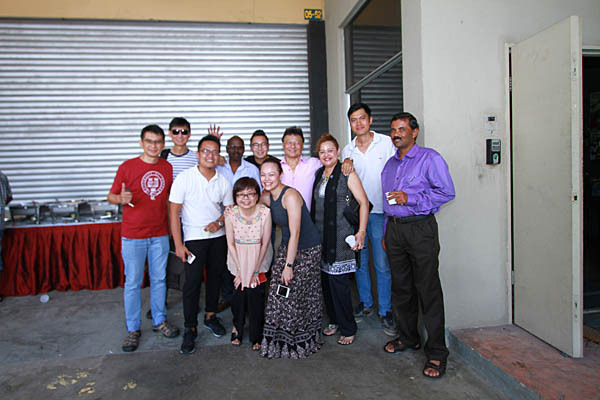 Usually held on Deepavali eve, the Nic & Wes gathering always keeps an extended invitation to both staff and family which include the cute company of our project managers, Somu’s and Rajan’s, children. This year we also welcomed a very special attendee, founder Jude’s mother, Gloria. The celebrations start off with our team of foreign workers getting dressed before coming down to the main foyer. The aroma of the food alongside greetings and chatter begin to fill the usually quiet space. 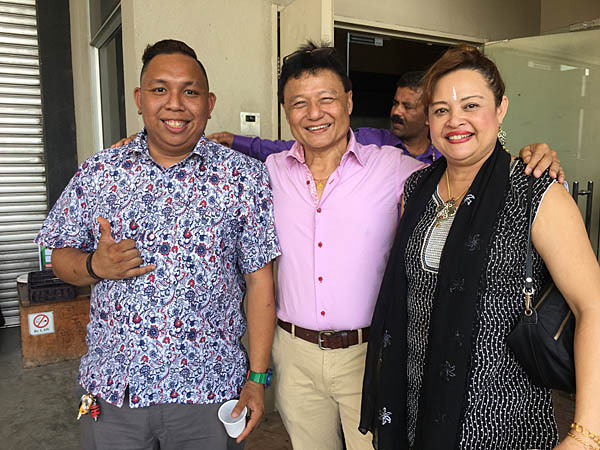 As the workers congregate, familiar faces would approach with their big smiles inquiring about their boss’s family and if everyone was attending the luncheon. 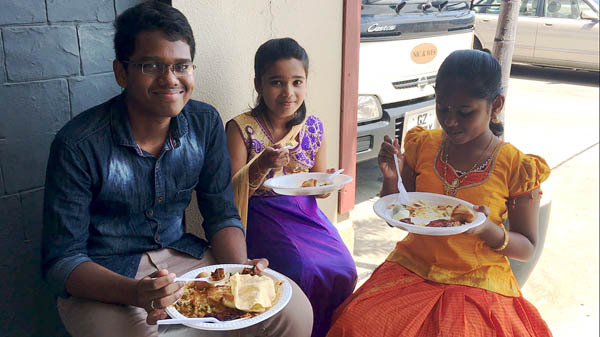 Jude especially makes it a point annually to adorn a traditional Indian ensemble. Together with Somu’s and Rajan’s daughters decked in traditional clothing, the three ladies add the right tone for the gathering. Once everyone is present, Brian begins the luncheon with a speech to thank the hardworking men for doing what they do. Both Brian and Jude then personally wish each worker while handing them a token of appreciation which is especially more meaningful this year having journeyed out onto a smoother and more prosperous 2017 in comparison to the last two years. Following the well wishes, Brian carries on to single out a selected few who have shown loyalty, reliability and initiative within their peers. 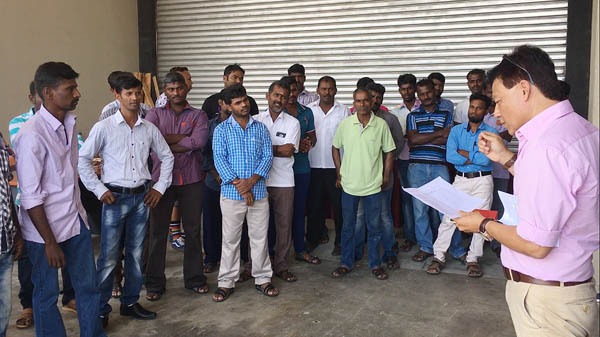 First up he shows recognition for the ICs, also known as appointed persons in charge within the labourers. These include Kurmarappan Arumugam, Karuppiah Singaram, Piraman Rengasamy, Dula Bala Santi Bala and Haque Mujammal. Following after were the long-term staff who have been part of the Nic & Wes family for more than 10 years. 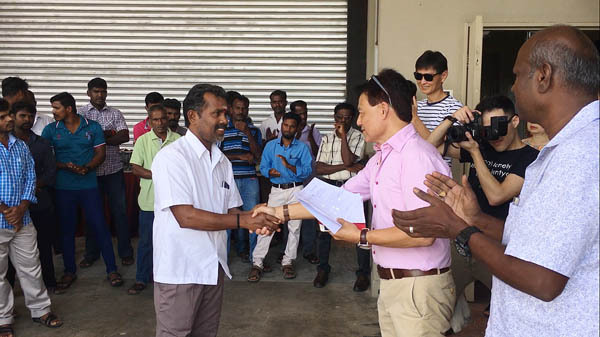 Five people were part of the long-term staff - Kurmappan Arumugam, Piraman Rengasamy, Dula Bala Santi Bala, Haque Mujammal and Anbalagan Senthil Kumar. 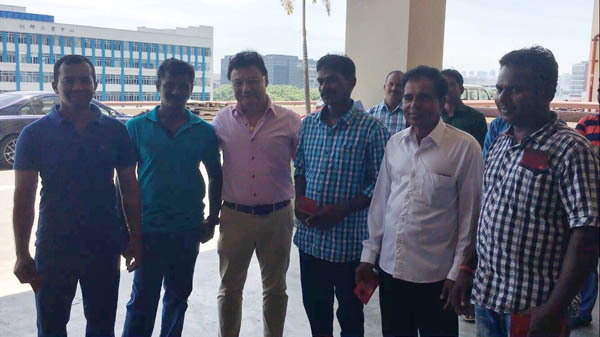 Next he calls on Anbalagan Senthil Kumar and Meyyappan Bangarajan, the workers recognised for efficiency. 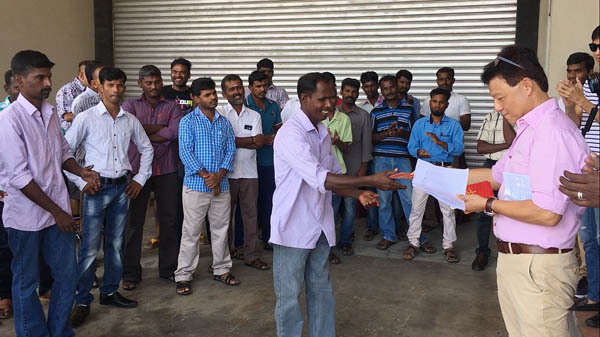 Oyyappan Ganesan was selected as the workers that took instructions well. Meyyappan Bangarajan called upon once again for reliability. 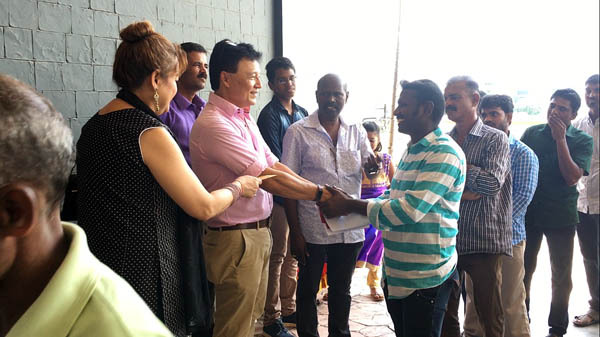 An overall outstanding worker, Vellaikkannu Balu was recognised under a total of three categories - as a model for positive influence, one who took instructions well and a reliable worker. This year, Nic & Wes has welcomed many new faces to our expanding workforce within the pool of labourers and the project management department with the introduction of two new additions Sudah and Arul, both engineers from India. After the completion of recognition and acknowledgments, the team and family gather for the annual group photo before the feasting begins. 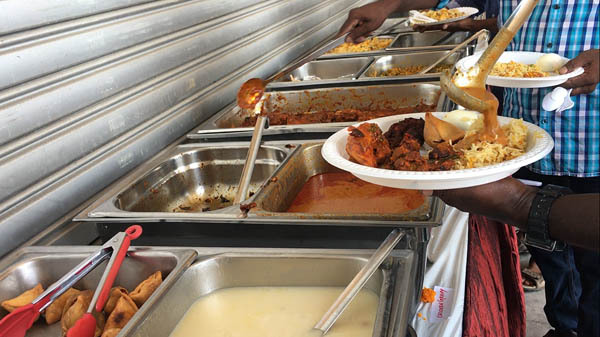 The buffet is served and the workers line up to dig in on the spread of Indian cuisine. Sheets of cardboard are placed on the floor in rows where they gather to eat. A real treat for them, the mutton dish was the first to clear out while the remainders were packed for dinner. 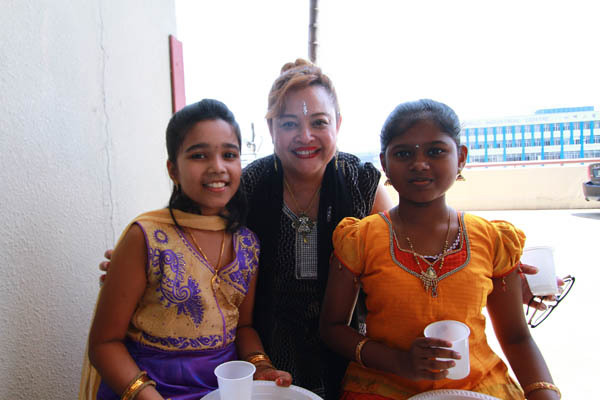 Deepavali celebrations have become a wonderful tradition for Nic & Wes. 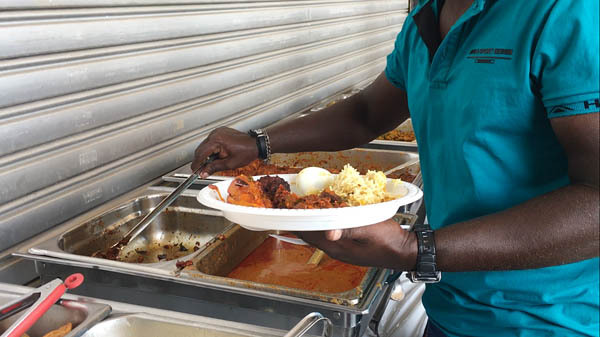 A time where the different departments, races and religions come together in the spirit of comradery to eat and be merry as we celebrate the very important people who have and continue to give Nic & Wes the opportunity to design and build lifestyle homes to be proud of.